Obama is on a roll when it comes to transportation efficiency. For the first time in history, heavy-duty vehicles will have to meet fuel efficiency and greenhouse gas standards. By 2018, big rigs and semis will have to reduce fuel consumption and GHG emissions by 20 percent from today’s figures. The standards are estimated to save approximately $50 billion in fuel costs over the lifetime of the program. Although there would be increased sticker prices or necessary upgrades, the fuel savings would still be more than the higher cost over the lifetime of the vehicle, according to the White House. A semi truck, for instance, could pay for upgrades within a year and save $73,000 in fuel costs over the vehicle’s lifetime. Although light-duty vehicles have had miles-per-gallon standards since 1975, this is the first time the heavy duty class has been regulated. The standards were developed by the U.S. Department of Transportation and the U.S. Environmental Protection Agency and are expected to reduce oil consumption by about 530 million barrels and GHG pollution by approximately 270 million metric tons. The requirements for heavy-duty pickup trucks and vans were slightly more lenient, with standards of cutting fuel consumption and GHG emissions by 15 percent. 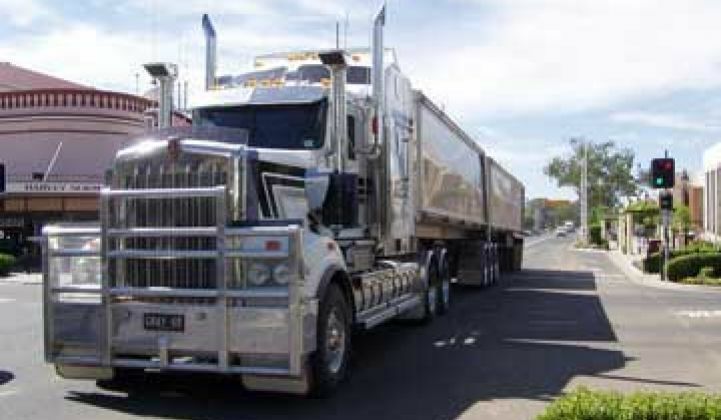 Delivery trucks, buses, garbage trucks and other vocational vehicles will be required to meet a 10 percent reduction. “Thanks to the Obama administration, for the first time in our history we have a common goal for increasing the fuel efficiency of the trucks that deliver our products, the vehicles we use at work, and the buses our children ride to school,” DOT Secretary Ray LaHood said in a statement. “These new standards will reduce fuel costs for businesses, encourage innovation in the manufacturing sector, and promote energy independence for America.” After all, if there's one thing politicians can agree upon, it's the goal of energy independence for America. Just last month, the White House announced a 54.5 MPG standard that will be achieved by 2025. Earlier this year, the administration unveiled new fuel economy labels for cars and announced it would move its fleet of light-duty vehicles to 100 percent alternative fuel vehicles by 2015.